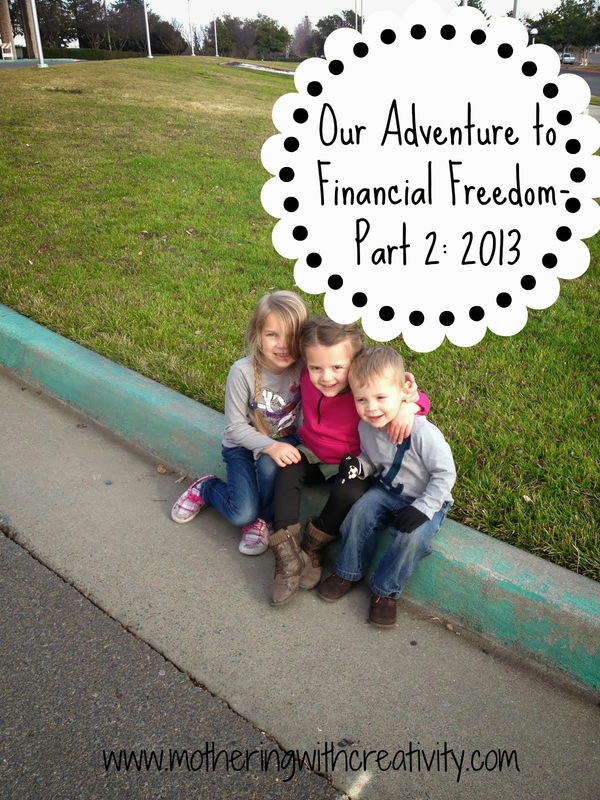 In early 2012, I wrote an encouraging post about our adventure to financial freedom. Honestly, I wrote that post as an encouragement for myself, but I am so humbled that it's been an encouragement to so many other people. Even still, when I'm feeling particularly discouraged about where we are at with our finances vs. where I we would be at this point, I'll occasionally look back at that post and find some encouragement to keep going. It's been a little over a year since that post, and we're still not done with our journey (will we ever?). But, in spite of things still not being where I thought they'd be, we've made tremendous progress. I'm going to be using real numbers, because real numbers make sense. They show real, visual progress. These numbers are a part of our story. Don't compare your progress to ours. Compare your progress with your own story! In February we paid off a small medical bill from one of our children. It was about $300. This was our first financial success in 2013, and it was, of course, exciting! In March, we paid off a credit card balance of $2,532. This amount was from Ben's unexpected, no insurance, knee surgery from 2012. In July, we settled the final credit card debt from Ben's knee. We settled for $3,002, all paid in cash, and saved approximately $4000 by working with the credit card company to come to a "deal". We closed this credit card after paying it off (or rather, they closed it on us since we settled our way out of it). No big deal...we are so OVER credit cards! By November, we had paid in advance for the birth of our 4th baby. We paid approximately $5000 to the hospital, doctor, anesthesiologist, labs, and pediatrician. CASH. Let me tell you why this one, out of all of the above mentioned things, is such a big deal. We have NEVER, not once, paid cash up front for something big like that. The fact that we were able to make this happen was a HUGE step for us. I really see it as a turning point in how we view and handle our money. We avoided debt and came up with the money ahead of time. In total, we paid off or paid in advance for almost $11,000 this year! By the time we paid all these debts and paid (cash) for our 4th baby this year, we closed out the year with *maybe* $200 in our savings account. For the first time, though, I didn't feel defeated. I felt accomplished. I knew that the fact we had learned to "save" is what made paying for our baby possible. THAT'S what our savings is for! 2014 started with a focus on rebuilding our emergency fund back to at least $1000 (Dave Ramsey's baby step #1), and using any income tax return money to pay for fixing a couple of my teeth. It's now March (2014) and baby step #1 is already more than taken care of, and my teeth are paid for, as well. 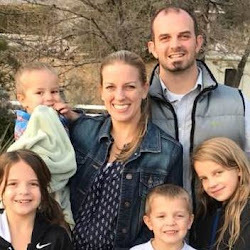 We are now working our way toward saving for our every-other-year family Disney trip, building our savings even more, and paying off an interest free hospital bill from one of our children. Then....just the student loan, and we'll be DEBT FREE!